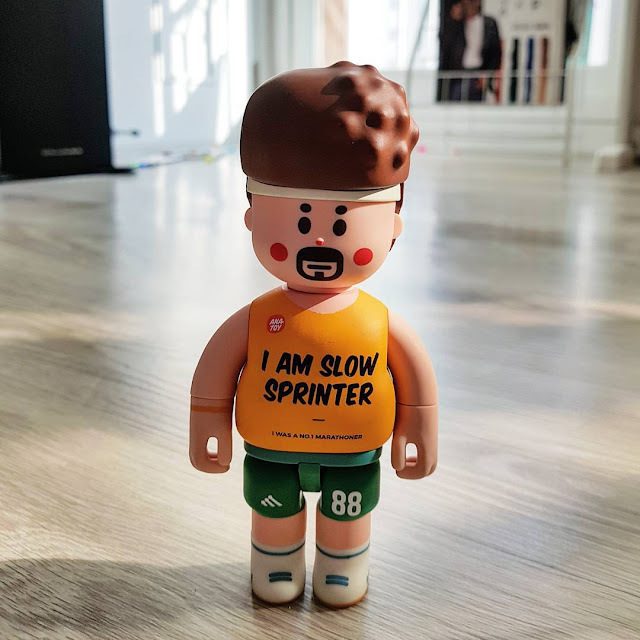 We are very proud to announce that we will be carrying Bobby the Slow Sprinter, a 5.75" tall PVC/ABS figure from South Korea's DanDesign and ANATOY. Bobby is highly articulated and we will also have Bobby's full shoe collection available (6 pairs, individually packaged) so you can lace him out proper. He might be a slow sprinter, but my man has STYLE! Bobby and his shoe collection are incoming to the USA right now and you can preorder them both right here. Arriving very soon! Also stay tuned for future ANATOY releases, which will be available at Tenacious Toys as well.